Risa has angered several powerful people, and she’s starting to feel the pressure from all sides. She also finds herself under the scrutiny of the vampire council, some of whom consider her a monster who should be destroyed. But they offer her a bloody bargain: Take on the lethal head of the council and others will support her. Author Keri Arthur continues her Dark Angels series as half-werewolf, half-Aedh Risa Jones races to save the world from descending into chaos. When Risa lost the second key, she feels the pressure from all sides. Her father visits her. He gives her an ultimatum—fetch the key back or watch her friends be murdered by him. The vampire council comes to her with a bargain; take on Madeline Hunter, the head of the council, and they will support her, even though they consider her a monster. Time is short and she must find all the keys before the second gate opens and all hell breaking loose grows that much closer. I’ve read Ms. Arthur’s books before, of werewolf/vampire hybrids Riley Jenson and her brother, and enjoyed them, though not this series. 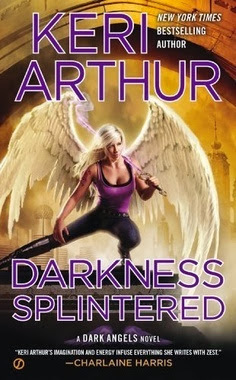 And though not read the first books in this series, it was not hard to understand what is going on and Ms. Arthur catches one up here and there. Angels (called reapers in the books), vampires, werewolves, sorcerers good and evil, and demons (including demon dogs) are many of the supernatural creatures Rise runs into or is friends with. She even is romantically involved with a reaper who guards her, and is with child by him. The novel kept me reading it, hesitant to put it down. The story is a good read for the cool nights of autumn. 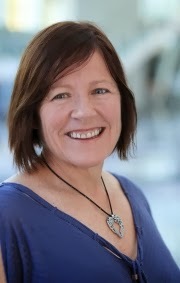 Keri Arthur, author of the New York Times bestselling Riley Jenson Guardian series, has written more than twenty-five books. Her most recent in the Dark Angels series are Darkness Hunts, Darkness Devours, and Darkness Unmasked. She’s been nominated in the Best Contemporary Paranormal category of the Romantic Times Reviewers’ Choice Awards and has won a Romantic Times Career Achievement Award for urban fantasy. She lives with her daughter in Melbourne, Australia. Hmm nice, I really need to try a Keri Arthur book again.